The reality is that not all lawyers are Denny Crane. And Denny Crane's motto of "Never lost, never will" was qualified all the time. 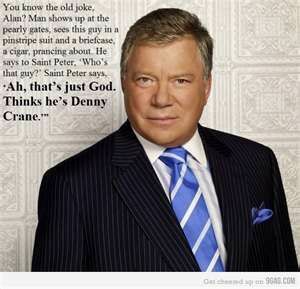 In fact, that was one of the running gags in Boston Legal. Even the best lawyers lose some cases. But just because your lawyer lost your case (or you argued it yourself and were unsuccessful) does not mean that you should count yourself out. Under British Columbia's Immediate Roadside Prohibition legislation, the deck starts out stacked against you. You're serving the penalties before the matter is decided. The police have an advantage in that their evidence is set out in pre-printed forms and tailored to answer all of the questions. If you are unfamiliar with defending an IRP case, you are not likely to know how to best respond to their version of events. Even the adjudicators have powers to seek out other material for the sole purpose of rejecting your arguments. This is what makes an appeal of an unsuccessful IRP case all the more important. Immediate Roadside Prohibitions are a new thing to law. Although administrative law is common, this particular mixture of criminal and administrative law, and the hearing process set up by the BC Government is otherwise unheard of. There is significant value in advancing appeals of IRP cases in order to develop the law and in order to guard against the erosion of significant procedural rights. It is clear that the Government is reactionary; they respond to the decisions of the Court and change the IRP scheme to counter arguments that have been advanced by me and lawyers at my office. I often refer to my clients who agree to run appeals of IRP cases on important issues as heroes. Their decisions end up impacting thousands of other people in a positive way. These people stick their necks out because they can see that a greater good is achieved by challenging bad law. Although a successful appeal and a successful IRP re-hearing will lead to reimbursement of the costs associated with the IRP, the real value in an appeal is when bad aspects of this law are successfully challenged. This also applies to the bad aspects of the decision-making in particular cases. A person can assume that an adjudicator's decision to reject a particular argument for a particular reason is not necessarily limited to their case, but is related to a pattern of reasoning used by the Superintendent's office as a whole. Just look at the Spencer and Gillies cases for examples of that. Both Mr. Gillies and Ms. Spencer challenged their IRPs on the basis that it was wrong for an adjudicator to reject their evidence on the basis that it was provided after the fact of the IRP. Of course it was. Nobody goes around preparing their evidence just in case something happens. And those that do are likely lacking in credibility. It was an absurd and unlawful reason to reject their arguments. But it was also reasoning that we saw in many cases. It was important, and heroic, for these individuals to challenge this method of approaching the decision in order to set the process right for everyone else that came after. There is also value in losing an appeal. Without giving away my secrets, I rely on as many IRP appeal cases where the person lost the case on the appeal as I do cases where the person won. Oftentimes, judges will make comments in decisions about why a particular outcome was justified on the facts. If the facts in another case are substantially different, or even the opposite, then the argument can be that the reasoning in that case doesn't apply. Sometimes an appeal that results in an answer that is unhelpful for one client can be vastly helpful in advancing another argument down the road. The reason for this is that the law is developing. When adjudicators are taught, through the development of the law, how to properly write decisions the process becomes more fair to everyone. It also helps lawyers assess cases and arguments with a better idea of what the outcome will likely be, given the state of the law. This is also useful, because the law stays consistent but how it is applied to the facts will change. Knowing what the law is on a given issue will help you or your lawyer to better apply it to the facts of your case. Appeals of IRP decisions are not really appeals. They are known as "judicial reviews." The judge sitting on the judicial review has to determine whether the adjudicator's decision in a particular case was reasonable. They are not allowed to reconsider the facts, re-weigh the evidence, or substitute their own views. They ask the question of whether the outcome was defensible in respect of the facts and the law. It's a relatively low standard, and the decisions are given a great deal of deference by the judge. Of course, that doesn't mean that judges can blindly go along with what adjudicators decide. If any of the decisions that have come out about IRP appeals in the past five years show anything, it's that there are mistakes that have been made. No one is perfect, adjudicators included. If you lost your IRP hearing, you should call a lawyer. Judicial review is very complex, and entering the process self-represented can be overwhelming. It starts with filing originating documents in BC Supreme Court, called a Petition to the Court. These need to be served on the lawyers for the Government. You are also required to file an Affidavit with the supporting documents for the appeal, which are limited to what was put before the adjudicator in the hearing. There are additional hoops to jump through if you want your license back in the interim. Setting a hearing date can be tricky. Lawyers take years to develop their skills at estimating time, and familiarity with how these cases play out is fundamental in making an accurate time estimate. I've succeeded on many judicial review IRP appeals. If you're curious about whether you should appeal your losing IRP decision, call me and we can discuss your case.